Jedi Mouseketeer: Will Disney’s The Hunchback of Notre Dame Swing to Broadway? Will Disney’s The Hunchback of Notre Dame Swing to Broadway? 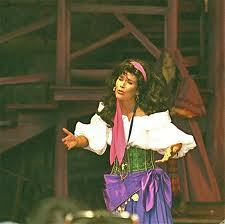 First we hear of Aladdin flying into Broadway, now we hear news of Hunchback of Notre Dame, wonder which one will it be? 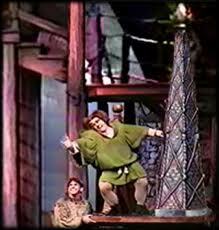 But with the news of Peter Parnell tapped to rewrite 'The Hunchback of Notre Dame' for Broadway. One can only wait to see. But my vote is for Hunchback. Quasimodo may get to ring his bells on Broadway as Disney’s The Hunchback of Notre Dame is eyeing a Rialto run after all, according to The New York Post. Peter Parnell (The Cider House Rules) will pen a new book for the musical, which premiered in Berlin in 1999. The musical will also feature new songs from Oscar and Tony winner Alan Menken (who scored the 1996 animated film) and Wicked composer Stephen Schwartz. No word yet on casting, further creative team members or a potential production timeline. 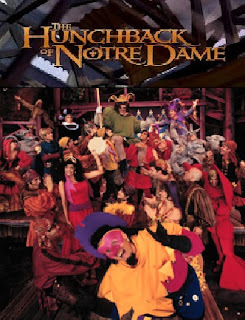 The Hunchback of Notre Dame premiered in Berlin under the name Der Glöckner von Notre Dame and featured direction and an original book by Tony winner James Lapine, music by Menken and lyrics by Schwartz. The musical is a darker take on Disney’s 1996 film and Victor Hugo’s 1831 novel about Quasimodo, a deformed bellringer at the Notre Dame catherdral, and his unlikely relationship with the gypsy Esmeralda.